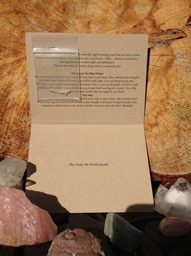 Inside this card you will find this information along with a small package containing two natural selenite microcrystals. One is for you to keep, the other should be tossed into natural running water according to the directions below. 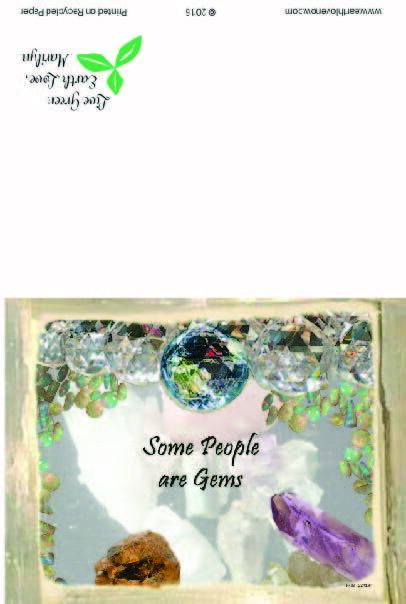 Because crystals have amazing memory to resonate light and information. They are more than just pretty things and it is a scientific fact. 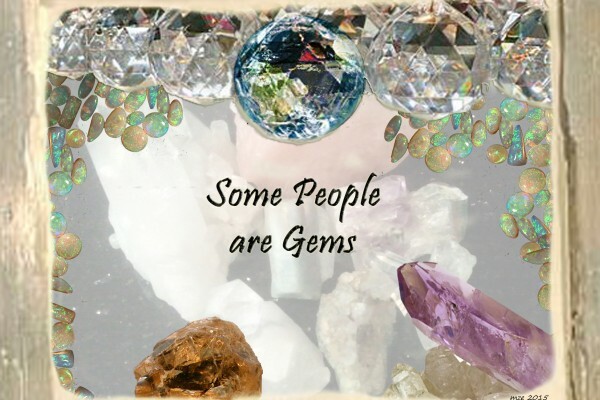 Take your crystals into your hands and hold them close to your heart. Now, think positive thoughts for World Peace. Picture the entire planet filled with Light, Love and Prosperity for ALL THINGS in every corner, every orifice of the planet. Now, as you see the planet covered in Light and the darkness flashing away, feel the energy in your heart touching the crystals. 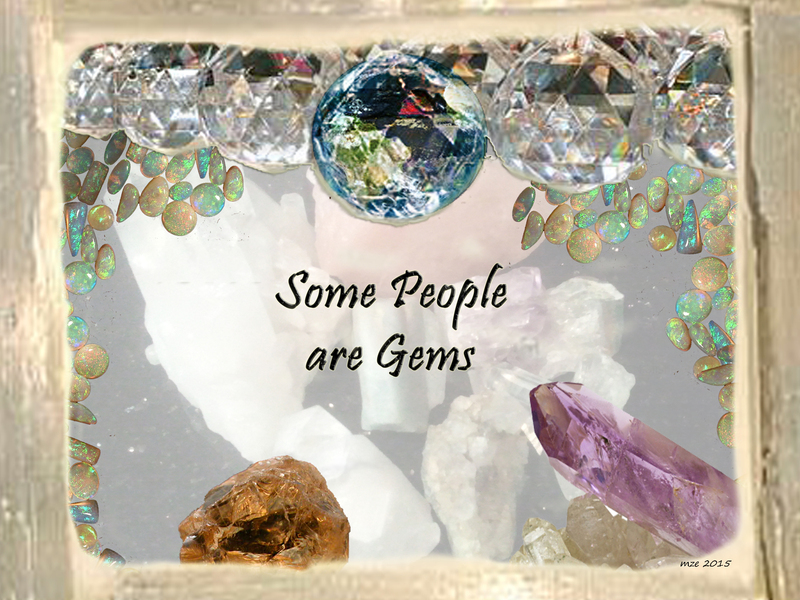 Now, blow these positive thoughts onto your crystals that are cupped in your hands. Keep one crystal and toss the other into running water, like an open stream. Why running water? Water moves up and down and all around, so your thoughts will spread through the water, then evaporates with the water to the clouds, and then rain down upon the planet. Beautiful! 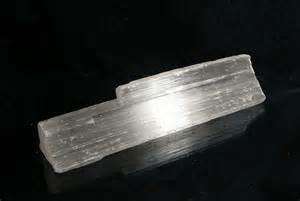 2 Selenite micro-crystals inside an envelope in this card. One for yourself and the other to toss into natural running water once your positive thoughts are transferred to the crystal. These thoughts evaporate to the clouds and rain back down upon us.